Sisters are often your closest relatives and finding a present for her should not be a tall order. However if you are stumped for ideas, read on and get some much needed inspiration. Sometimes the superfluous presents have to take a back seat. Perfume and make-up are all very nice but what does your sister really need? If she is at university or still recovering from her three-year stint, money will be tight and there will be essentials that she really needs to get her hands on. As a good brother or sister, ask her directly what she would like to receive. It might be that she is finally getting round to learning to drive and desperately needs a course of lessons. Pick up the tab for her and ease the financial strain. Alternatively, if she has just started her first term at college, books need to be brought and their prices might be stretching her budget too far. Get her a book token that she can instantly make use of and then you can take some credit for helping her pass her degree! Who doesn’t like shopping? Well there is a minority who are not keen on it but if your sister loves to shop, but doesn’t always have the money to do so, a perfect gift idea is to indulge her retail addiction. Most of the high street retailers offer her vouchers that can be exchanged in any of their branches. This is a nice gift that gives her freedom on what to buy. 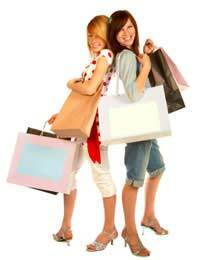 However, if this isn’t original enough for you, check out which shops offer a personal shopping service. The likes of Topshop offer a fantastic version of this service. A dedicated style advisor will consult with your sister to find out what kind of look she wants to create and will then pace the shop floor on her behalf and pick out the perfect must-haves for the season. This is a great treat with champagne served in the luxury changing rooms while she waits. An opportunity to play dress-up to her heart’s content will be the perfect present! If your sister is too young to appreciate personal shopping, try another gift idea. Take her out to play. There are lots of theme parks around the country and a visit to one is always a real treat! Surprise her with a magical mystery tour and have an adrenalin-filled day out! If budget allows, there is no reason why your sister cannot be transported further a-field. Remember that Disneyland Paris is only two hours or so from central London. Reserve your tickets on Eurostar in advance to get a good deal and consult other members of the family or your sister's best friends and see if they want to come along. It is possible to pack into a day and we guarantee that children and adults of all ages will have a great time. Whether it’s horse riding, tennis or painting, your sister’s hobby is the perfect base for your gift. There are always ways that you can help her pursue it. Buying a horse might be out of the question but helping get a horse on loan may well be in the frame! In the same vein, a course of tennis lessons at the local club or a new top of the line racquet may be just the thing to help her win the next tournament. The options are endless. Think about what she is into and get her the ideal present. Buying a gift for your sister requires a little thought and a little effort. If you follow this golden rule, you simply cannot fail to bring a smile to her face!